Hail to the Chief! HBO has renewed its Veep TV series for a sixth season, in advance of the season five premiere. The fifth season of this comedy kicks off this Sunday, April 24, 2016 at 10:30pm ET/PT. The cast of Veep includes: Julia Louis-Dreyfus, Tony Hale, Anna Chlumsky, Matt Walsh, Reid Scott, Timothy Simons, Sufe Bradshaw, Kevin Dunn, Gary Cole, and Sam Richardson. LOS ANGELES, April 21, 2016 – With all three shows set to return for new seasons on Sunday, April 24, HBO has renewed GAME OF THRONES, SILICON VALLEY and VEEP for 2017, it was announced today by Michael Lombardo, president, HBO Programming. The Emmy®-winning comedy series VEEP kicks off its ten-episode fifth season Sunday, April 24 (10:30-11:00 p.m.). The show stars Emmy® and Screen Actors Guild Award winner Julia Louis-Dreyfus as President Selina Meyer, for whom the most banal action can set off a ripple effect with unexpected and far-reaching consequences. The ensemble cast also includes Emmy® winner Tony Hale, Emmy® nominee Anna Chlumsky, Matt Walsh, Reid Scott, Timothy Simons, Sufe Bradshaw, Kevin Dunn, Gary Cole and Sam Richardson. Season five credits: VEEP was created by Armando Iannucci; executive produced by David Mandel, Julia Louis-Dreyfus, Frank Rich, Chris Godsick, Lew Morton. Veep is one of three shows HBO renewed, today. Get the details about Game of Thrones seventh season renewal, here. Find out more about Silcon Valley‘s fourth season renewal, here. In case you missed it, check out Julia Louis-Dreyfus reprise her Seinfeld character, Elaine Benes, on last week’s Saturday Night Live episode, here. What do you think? 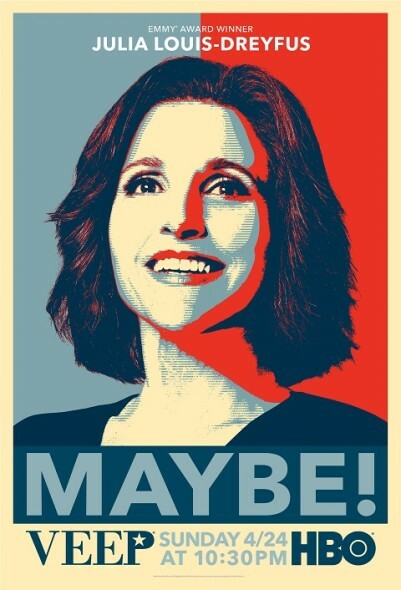 Are you a fan of the Veep TV show? Do you plan to watch the fifth season premiere, this weekend? How many seasons do you think Veep should run? More about: Veep, Veep: canceled or renewed? Very funny and sharp series. Louis-Dreyfus wonderful as is the entire cast.